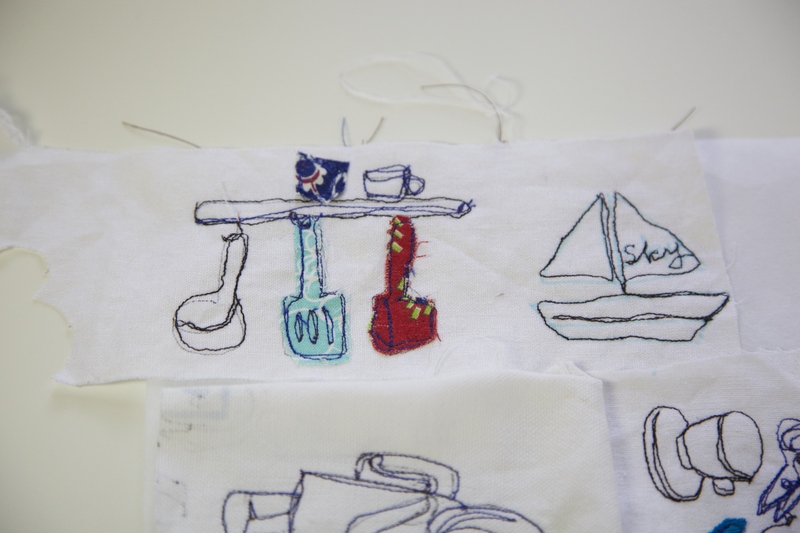 This morning I wanted to try some different ways of sewing illustration, commonly called “free hand motion embroidery”. 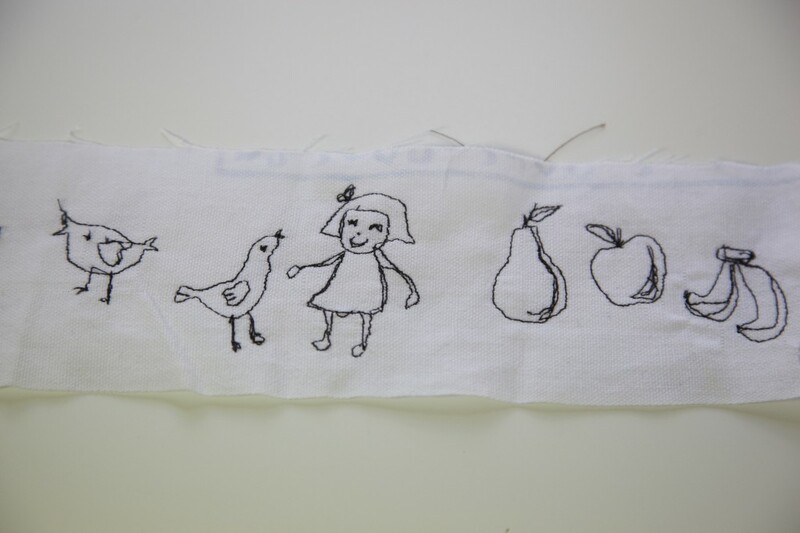 I was surfing the web and found out that many amazing ladies(mostly in the U.K.) uses “darning foot” on their wonderful machine drawings. This picture is the result of all my effort after hours and hours of practices in my P.J. Is she cruel or optimistic? As I sensed I need more practice, I grabbed the fabrics that I really did not care if it goes to trash. 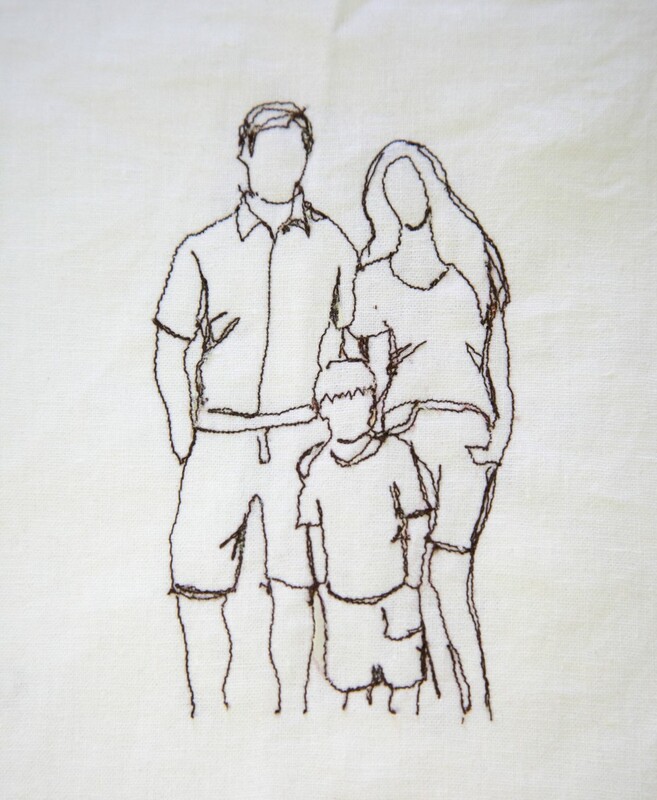 You don’t want to waist your linen on “messy doodling”. This is a darning foot that comes with sewing machine accessory when I purchased less than a year ago. F.Y.I. 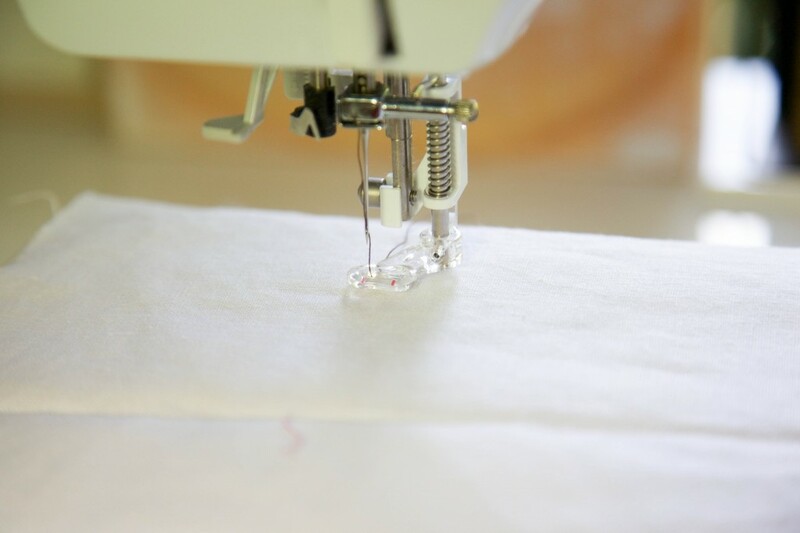 my sewing machine is Brother XR1355, my hubby got me at Costco. 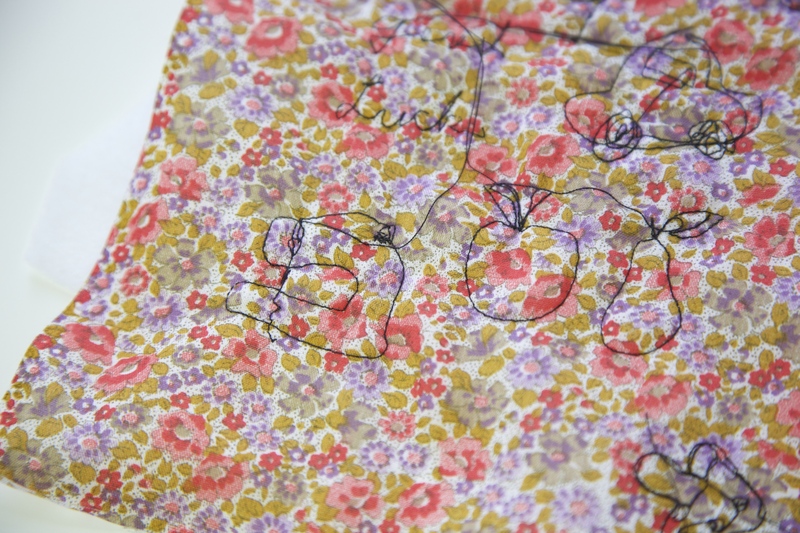 I am not sure if I can draw a tiny scissor or bicycle with this new way-using a darning foot instead of using regular foot. Either way, I am busy playing with my sewing machine all day. Previous Post: How to make scrunchies! Next Post: Dress your empty fruit can. I knew you would master the darning foot! It is lovely! Thank you Kristin! Without you, I wouldn’t know what the darning foot it. This looks like a sketch. 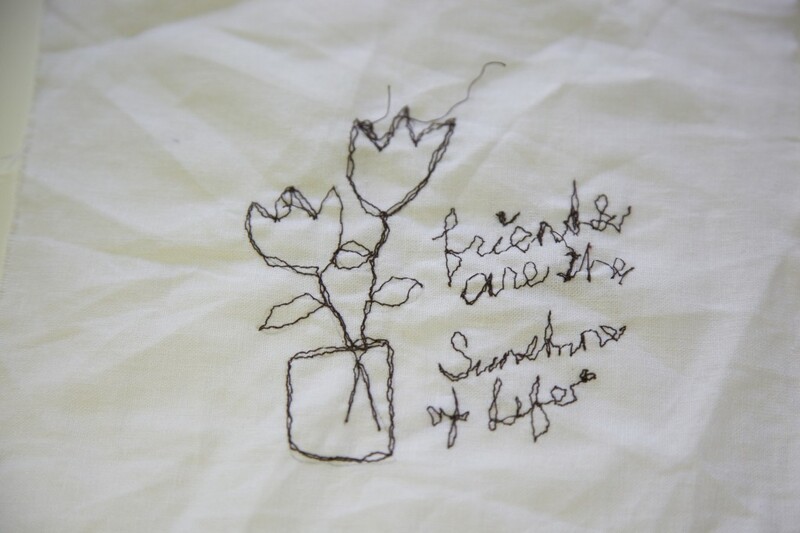 I do love doing hand embroidery on Sunday mornings, going to try similar to that!